DHL Express - Enjoy Great Prices Worldwide! Thanks to the special agreement with DHL we can now deliver your orders quickly and for low freight anywhere worldwide! 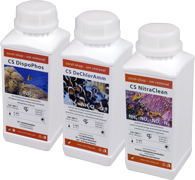 CS DispoPhos is an animal-safe preparation of highest purity based on trivalent iron, intended for instant and controlled removal of phosphates from both seawater and fresh water. Regular application of CS DispoPhos enables to maintain phosphates concentration on long-term stable trace level. 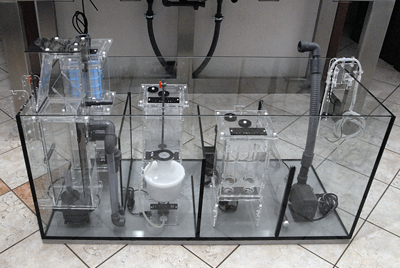 There are no disadvantages of solid sorbents - the use of CS DispoPhos is targeted, controlled and economical. 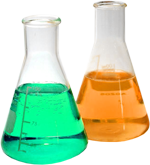 Based on the results of phosphate concentration testing CS DispoPhos can be applied in exactly required amount. from our reference client ZOO Brno. 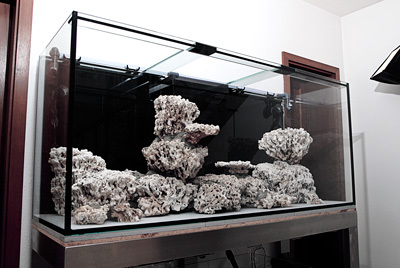 Unique Stone-to-Stone and Stone-to-Glass harmless & animal-safe reef bonds. 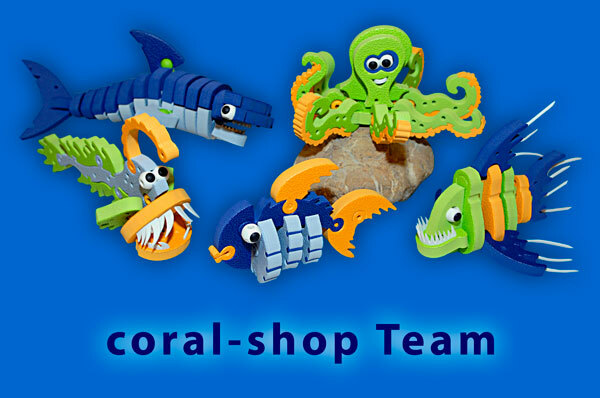 Practical tools for reef building. 3rd phase of planned series. 2nd phase of planned series. 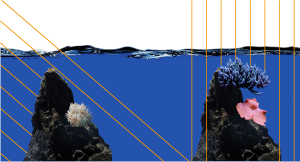 Now focused on reef construction. 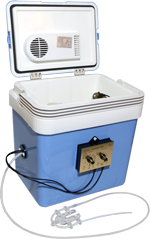 Natural Removal of Nitrates - Complete Denitrification System. New picture gallery from our reference client Mr. Rysavy. 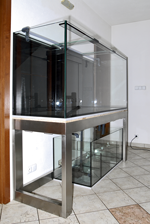 New picture gallery from our old reference client Mr. Fridrich. 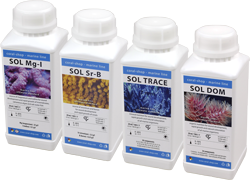 Seven Kits in One REEF Lab! 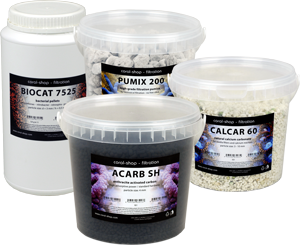 Look through the general table of active substances concentration in all cora-shop additives and removers. 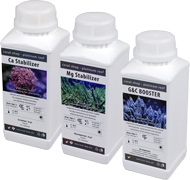 In general, the concentration of active substances is highest in Profi Plus conception additives - some of them are in fact saturated solutions (Mg Profi Plus, KH-Buffer Profi Plus). 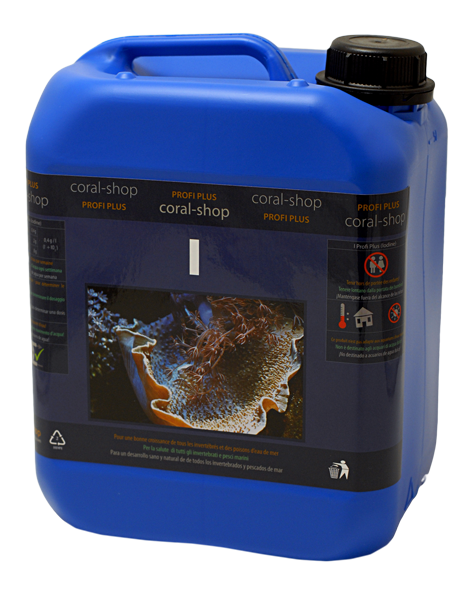 The concentration of active substances in Marine Line and Platinum Reef products is lower, optimized for dosing systems and for uniform standard recommended dosing - for example 20 ml per 100 l of water weekly for all Marine Line additives. 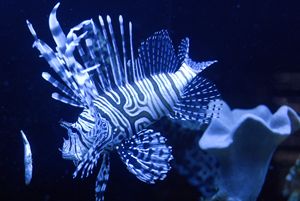 Do you feed your aquarium animals daily with frozen or live food? 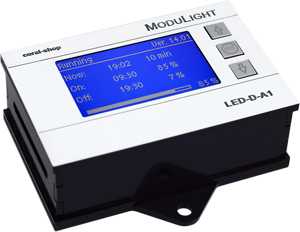 Would you like to save your time and dose automatically? Or you are away for couple of days or even a fortnight? Then DSF1150 is an ideal feeding tool for you. 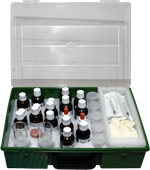 Channel One DSF1150 configuration is designed for dosing of temperature sensitive food mixtures and can be used for any aquaeous suspension with 2 mm maximum particle size.